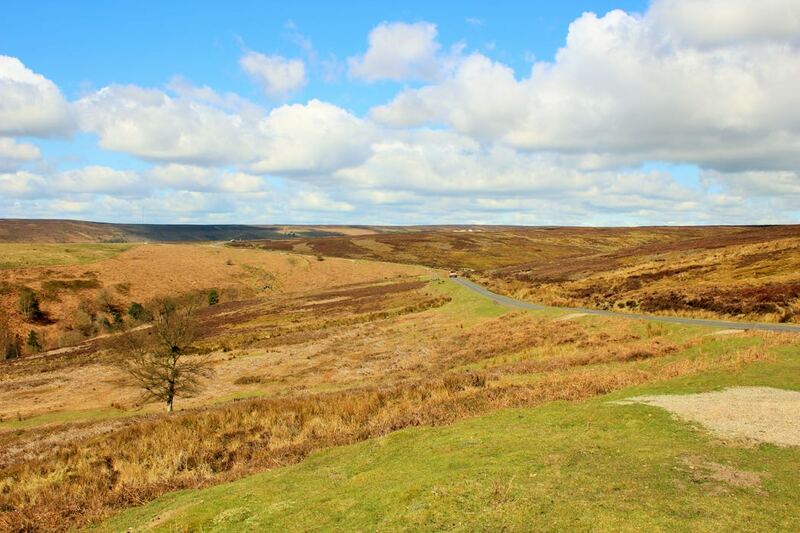 Climbing up into the North Yorkshire moors, it’s an impressive approach to Helmsley, and the little market town itself certainly doesn’t disappoint when you arrive. 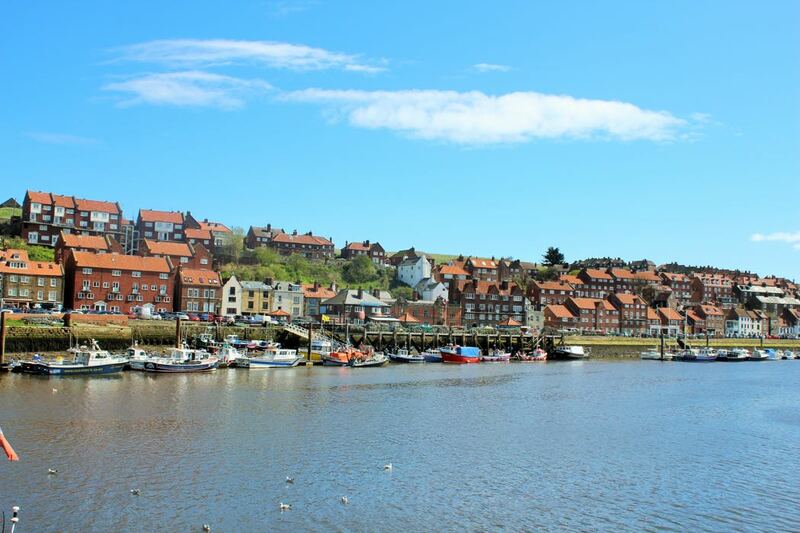 In fact, it’s as pretty as a picture, with its stone houses, welcoming pubs and quirky, individual shops. 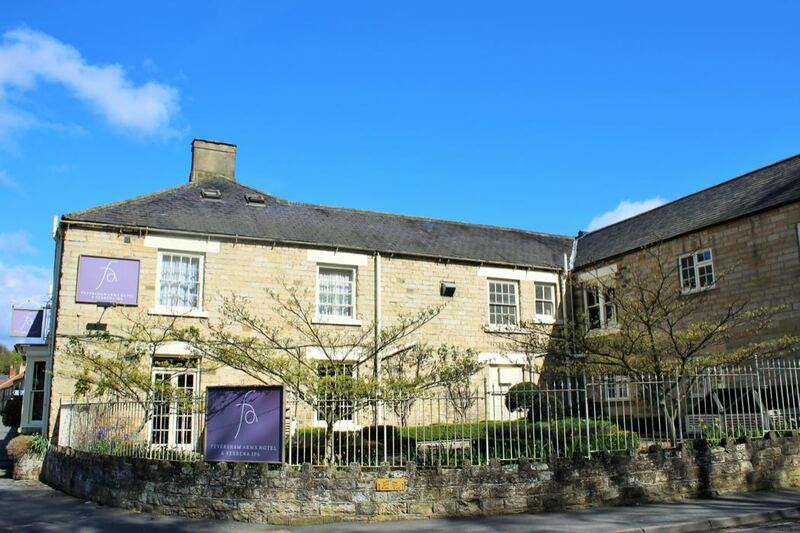 Tucked just behind the church, the Feversham Arms is perfectly placed for guests to enjoy the town on foot, while also offering impressive spa facilities, excellent food and a charming little sun trap of a courtyard with heated outdoor swimming pool. With its pretty stone frontage, the Feversham Arms looks at first glance to be every inch the traditional coaching inn it originally was, but there’s much more to it than that. Numerous extensions and renovations over the years have turned it into a fairly sizeable hotel, with interesting nooks and crannies, long corridors and surprisingly modern areas with glass-panelled ceilings. The welcome we received from management was polite rather than friendly – we arrived before our check-in time and being shown to the hotel bar would have been a nice gesture, which unfortunately was not forthcoming. 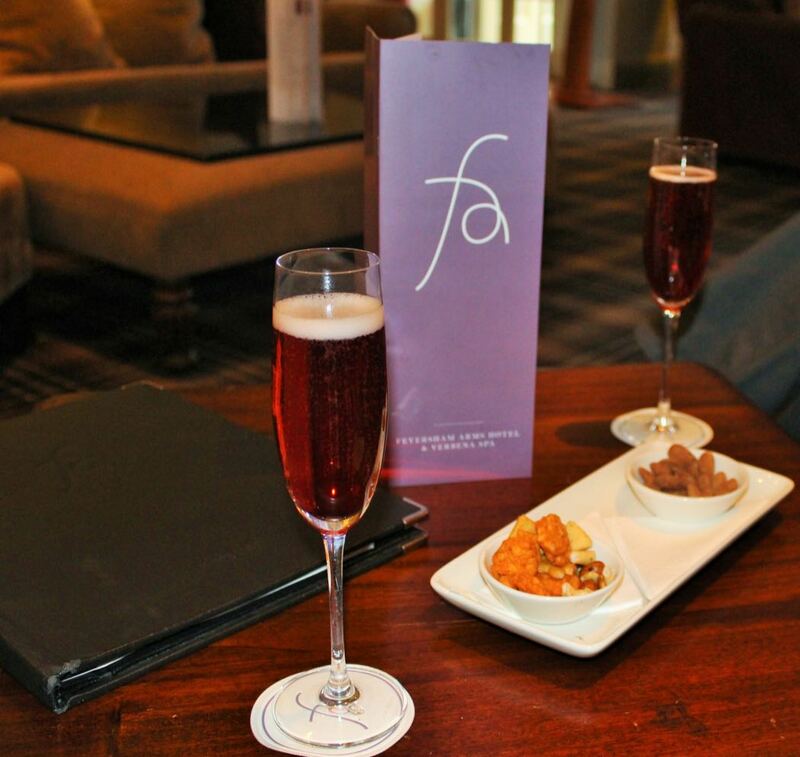 However, throughout our stay we received very warm and attentive service from the rest of the staff. The underground car park and valet parking service were much appreciated on our arrival and throughout the stay – it really made dealing with our car effortless and wasn’t something we were expecting in this sort of location. 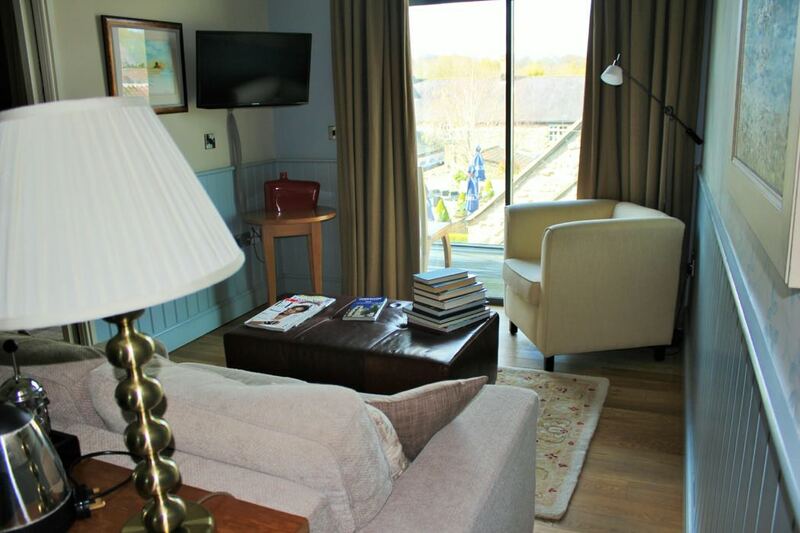 We stayed in a spa suite, which comprised a double bedroom with ensuite bathroom and an adjoining living area. The décor had a “country cottage” vibe about it which gave the suite a lot of character, although it was slightly faded and in need of a refresh in places. There were two TVs – one in the living area and one in the bedroom – tea and coffee making facilities and a stack of books and magazines to read. 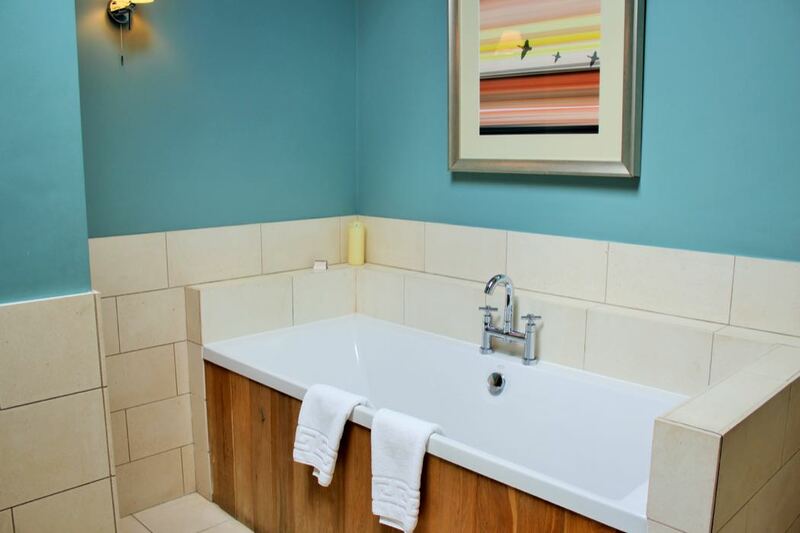 The bathroom was lovely with natural light pouring in from the skylight and a separate tub and walk in shower. The candle by the bath was a nice touch, and the Temple Spa toiletries were gorgeous. Robes and slippers were provided. While we found the suite slightly cluttered for our taste, we were very comfortable in it. My favourite feature was the balcony, where we were able to sit and enjoy a cup of tea in the late afternoon sunshine, overlooking the courtyard below. 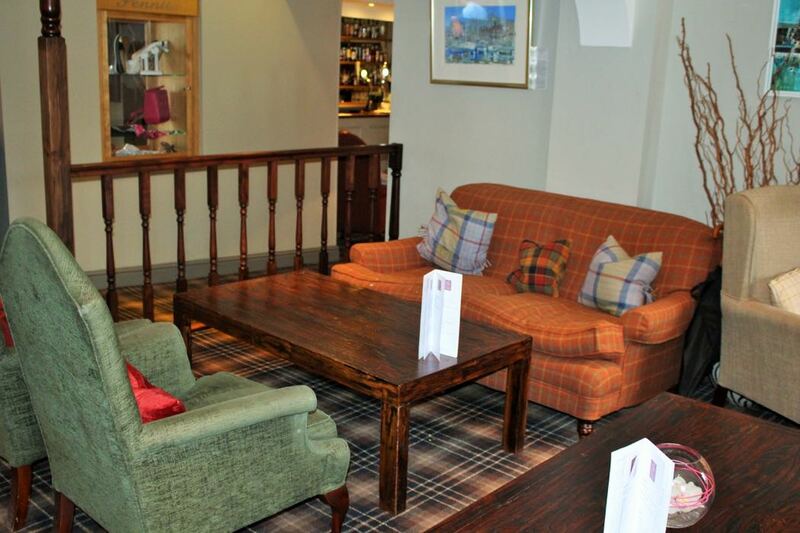 We thoroughly enjoyed the comfortable armchairs in the bar – it was a very relaxing spot to enjoy a drink or two before dinner. The ambience in the Weathervane restaurant was not particularly sparkling, but it was nice enough. 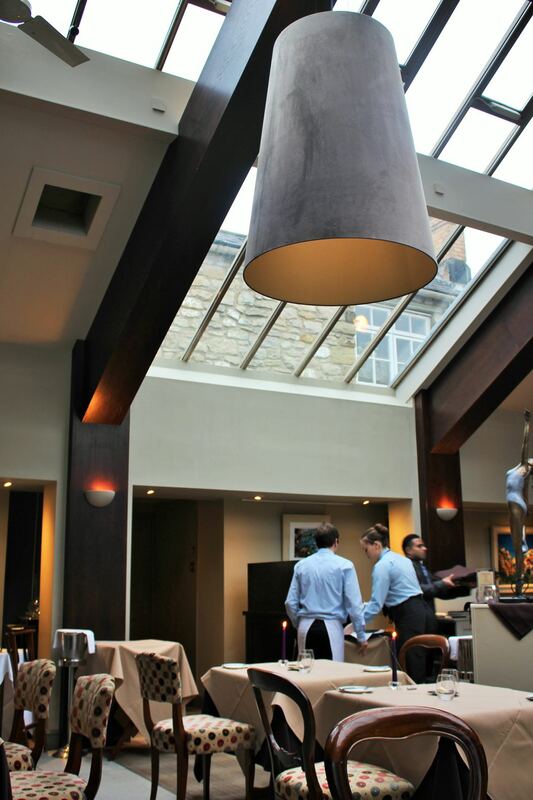 The waiting staff were very friendly and attentive, and the quality of the food and wine was outstanding. We enjoyed starters of red mullet, mains of sumptuous Angus beef and fresh, delicate fillet of Turbot, and a dessert of pistachio and cherry. Delicious! Breakfast offered everything you would expect of a luxury hotel – fresh fruit juices, toast and pastries, and a wide variety of cooked dishes made to order. 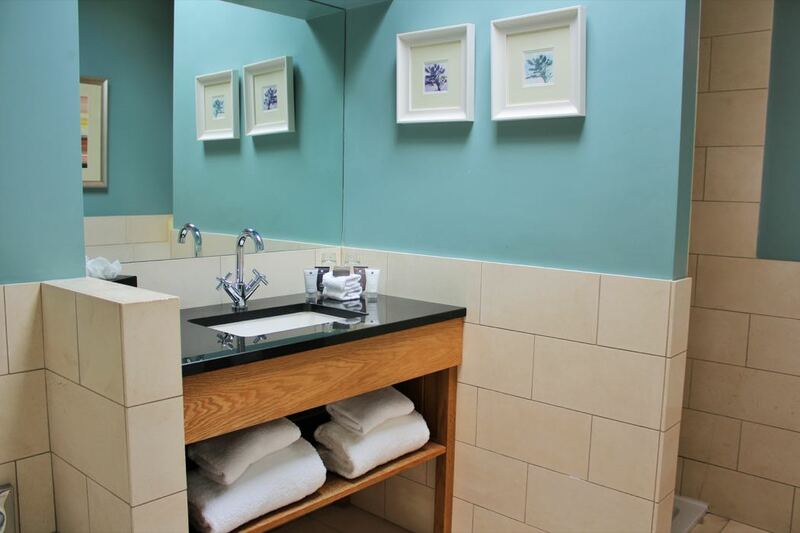 Without a doubt, the Verbena spa is the jewel in the crown of this hotel. I had the most amazing facial which was so relaxing I very nearly fell asleep! Afterwards, my skin was smooth and glowing. My therapist, Mary, set me at my ease right away and had a lovely touch. She selected beautiful Temple Spa products which my skin seemed to love, and provided me with a list of recommendations afterwards. The spa also offers a broad range of other treatments and facilities, including massages, body scrubs and wraps and a steam room. The outdoor pool area is lovely and looked very inviting when the sun was shining. It was about 8˚C during our stay, so we weren’t tempted to swim, although the pool is heated and plenty of people were enjoying it! During the warmer weather, we could imagine the courtyard becoming a real sun trap and using the pool then would probably be wonderful. We had the impression that most guests at the Feversham Arms were there primarily because of the spa facilities, and rightly so. 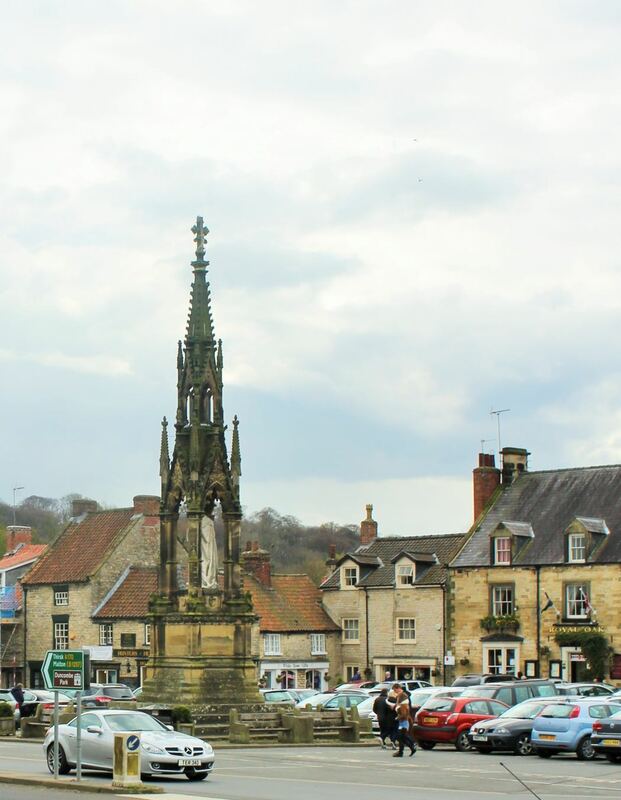 The town of Helmsley offers some interesting shops to look around as well as some nice places to eat. We enjoyed a drink at the Feathers, lunch at the Black Swan and dinner at Gepetto’s Italian restaurant. 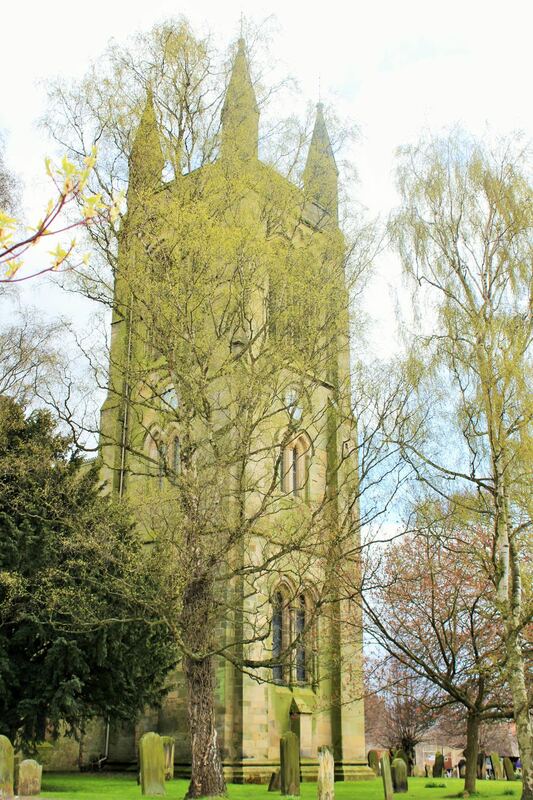 Beyond Helmsley, there’s a wealth of beautiful and interesting places to explore. 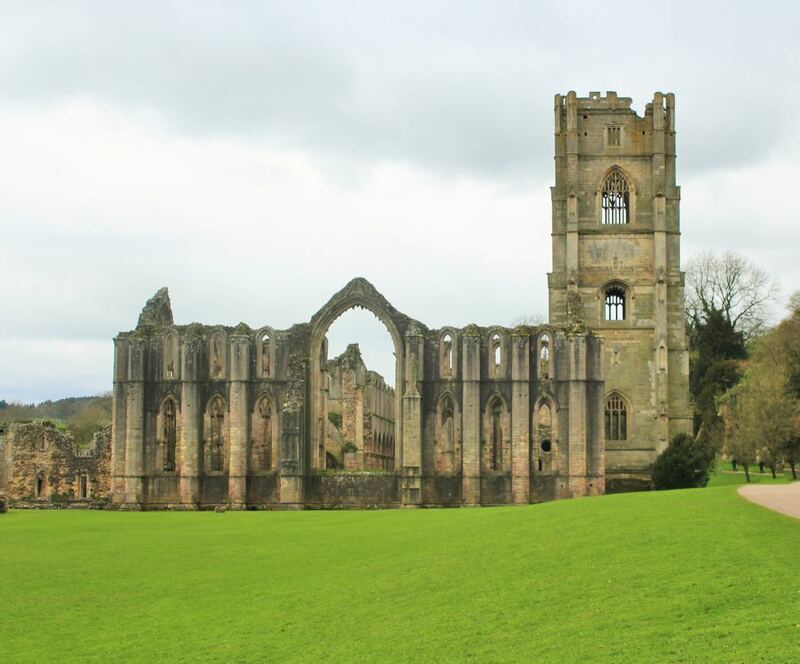 We visited the North Yorkshire moors, Whitby and the stunning Fountains Abbey during our stay, all of which I can highly recommend. 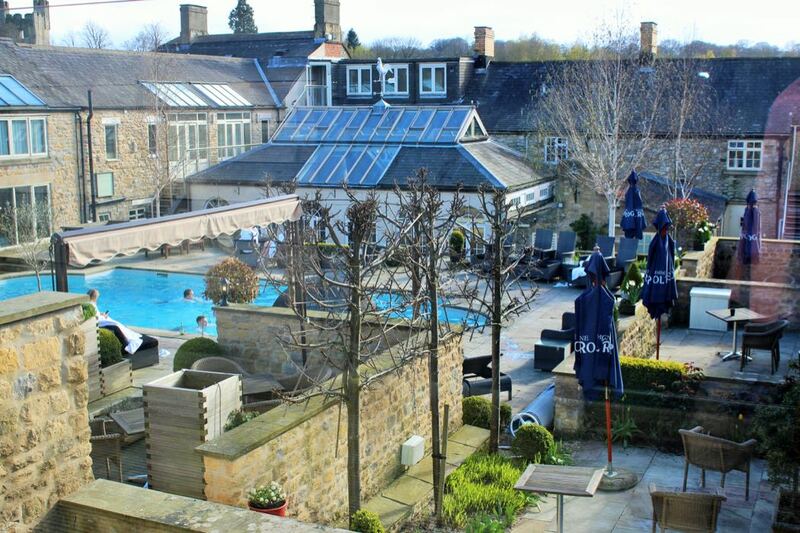 The cities of York, Harrogate and Leeds are also all within easy reach of the Feversham Arms and all well worth visiting. 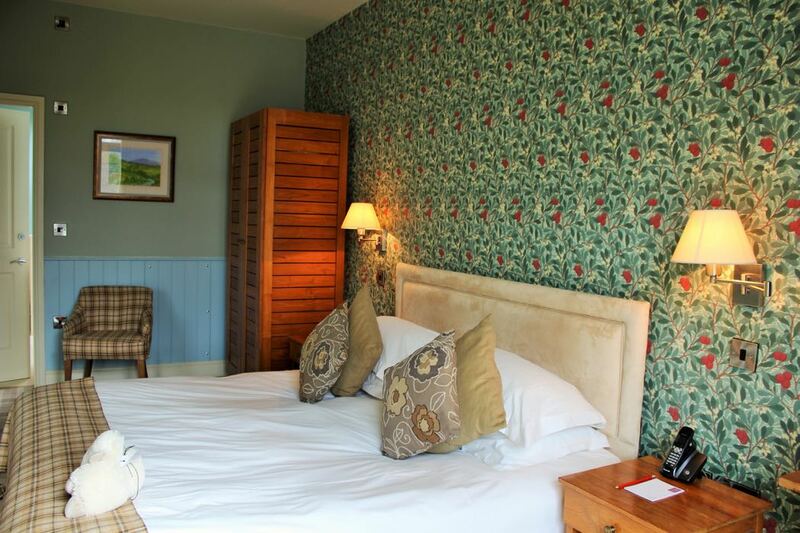 The Feversham Arms is a very nice hotel and very well placed to explore many of the beautiful attractions North Yorkshire has to offer. The spa and pool are fantastic, and if you’re interested in enjoying those facilities then I can highly recommend staying here. It also makes a very comfortable base from which to enjoy the surrounding area, but if that’s the only thing you’re looking for, you might potentially question the price of a room.